Joseph Andall, Deputy Political leader of the National Democratic Congress (NDC) has disclosed that the party which was unable to win a seat in the 13 March General Election, will be holding a general council on 1 July 2018. Speaking on the Grenada Broadcasting Network (BN) daily To the Point Programme, Andall who was the guest on Tuesday morning, said that the party’s first coming together with the wider membership will be the General Council. “We have a general council slated for the 1 July. The general council is a working session of the party, we will review the work of the party, we will have reports from the different working groups of the party or adhoc committees.” Andall also explained that during the session members will have the opportunity to ask questions and to make suggestions for the continued development and growth of the party. Andall disclosed that in keeping with the party’s constitution, the occasion must be used to elect the party’s 3-member disciplinary committee. “We also have an election at the general council, that is to appoint the disciplinary committee of the party. The general council does that, so we have one coming up,” he said, disclosing the general council also determines the date of the party’s convention. “So, after the general council, which is an internal working session, we will have a better idea when the convention will take place,” he said. The party’s constitution also provides for the election of a new executive. 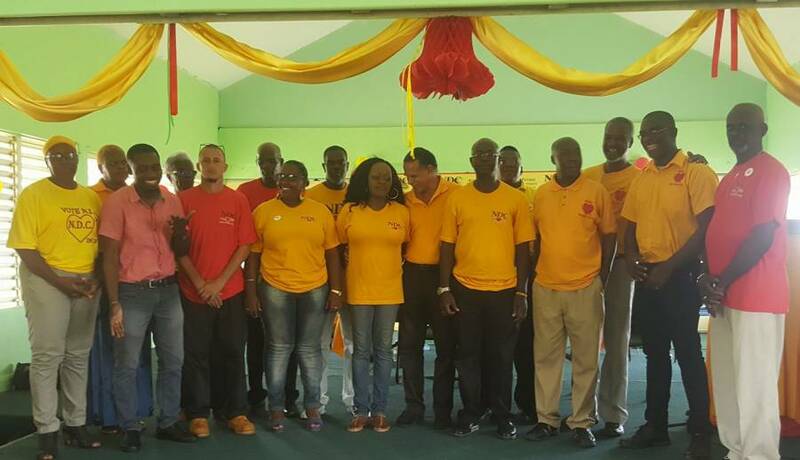 Randall Robinson, Public Relations Officer of the party said that the upcoming convention will not be one in which all executive positions will be up for election. “The constitution provides for the election of a political leader every 3 years, and in keeping with that, the political leader position will not be up for election because he was elected in 2017,” he said. Andall said that Nazim Burke, who is presently the political leader, was very disappointed with the outcome of the general election but has rebounded well. The NDC received 23,249 votes but it did not win a constituency in the elections. As a result, the party is not represented in the Lower House of Parliament. However, 2 of its youth were accepted to serve in the upper house by the Governor General. The winning New National Party received 33,792 votes and won all the constituencies.